You'll also love this week's photos on the intriguing topic of Out With the Old over at Natural Parents Network! Oh, yeah, 'cos the wrapping paper makes such a great noise when you bit it and is, frankly, so much more fun than most toys!! Hahah! I love how the wrapping paper in the pic of Mikko is flying through the air. Total action shot. Merry Christmas! 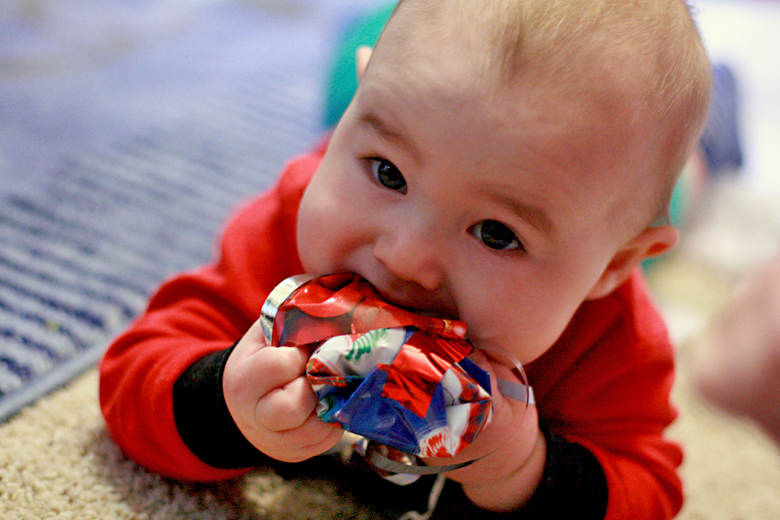 @pics-of-the-week-xmas-marks-the-heart-spot: Eating wrapping paper is the point of a baby's first Christmas, I think! Awww... gorgeous pics. They're growing so fast, aren't they! Visiting from Natural Parents Network! Aw, love the matching jammies...they are too cute! So adorable! 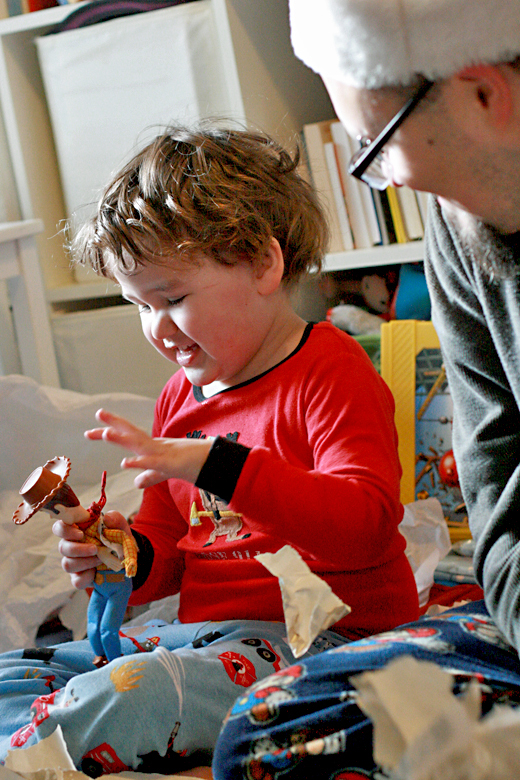 It looks like he is really enjoying that Woody doll.